In this June 18, 2018, file photo, U.S. Secretary of State Mike Pompeo speaks at an Economic Club of Detroit luncheon in Detroit. 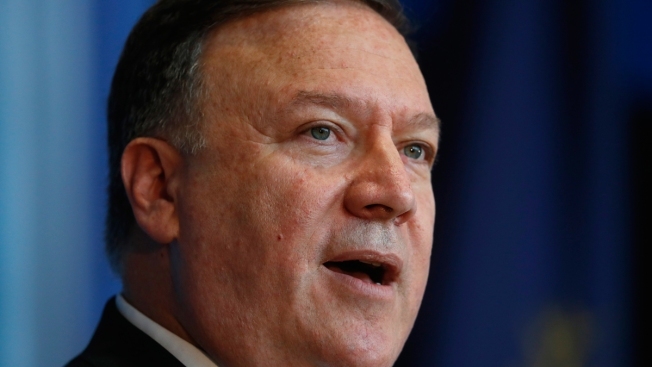 U.S. Secretary of State Mike Pompeo is set to arrive in Pyongyang on Friday for his first visit since last month's summit in Singapore, and one of his biggest tasks will be to dispel growing skepticism over whether North Korean leader Kim Jong Un really intends to abandon his nuclear arsenal. This will be the third trip to Pyongyang for Pompeo, President Donald Trump's point-man on the North. He met directly with Kim on both of his previous visits. So, with the handshakes and small talk now behind them, this could be where the rubber hits the road. Or where the Trump-Kim train starts to go off the rails. 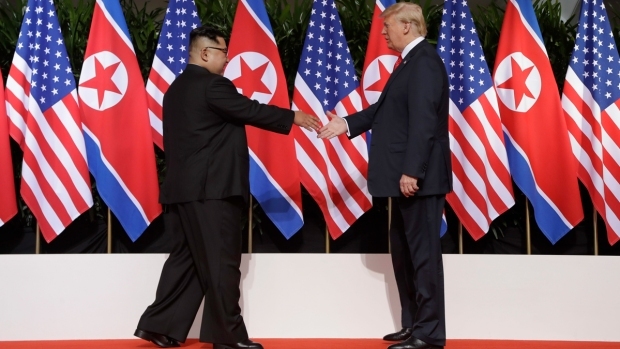 Here's a look at why the stakes have gotten higher since the summit, what Washington's latest signals are and how Kim has been playing his cards. There's a reason for the concern Kim might not be as serious about his commitment to denuclearization as Trump has suggested in his post-summit tweets. Recent media reports citing intelligence assessments suggest North Korea is continuing to build and improve the infrastructure for its nuclear and missile programs. That's not a violation of any commitments Kim made in Singapore, nor is it especially surprising Pyongyang would keep developing its assets right up until it specifically agrees to do otherwise. But it highlights that the North didn't actually agree to do much of anything concrete in Singapore and that it now appears to be pushing the envelope of what it can continue to get away with. To counter this slipperiness, the U.S. needs to get a detailed account of what the North's nuclear and missile programs consist of, what facilities it has and where they are. It then needs to get Pyongyang to agree to have monitors to verify that information and observe what is actually happening, or not happening, on the ground. Once that is done, a timeline with specific steps and deadlines must be nailed down. But it's not clear how hard Washington is ready to push. What's Washington's post-summit message? That depends on who's talking. Trump this week tweeted his administration has been having "many good conversations" with North Korea over denuclearization, that "all of Asia is thrilled" by its decision not to test nuclear weapons or launch long-range missiles and that "If not for me, we would now be at War with North Korea!" National security adviser John Bolton on Sunday said Pompeo will present Pyongyang with a plan to complete the dismantling of the North's nuclear and missile programs in one year. A couple of days later, State Department spokeswoman Heather Nauert walked that back. Bolton has a reputation as a hard-liner, and as a man of high personal ambition, so his remarks could have been intended to turn up the heat not only on the North, but on Pompeo as well. At some point, however, the Trump administration is going to have to back up its optimistic tweets with something along those lines. Meanwhile, the leaking of the intelligence assessments just ahead of Pompeo's trip raises another question. 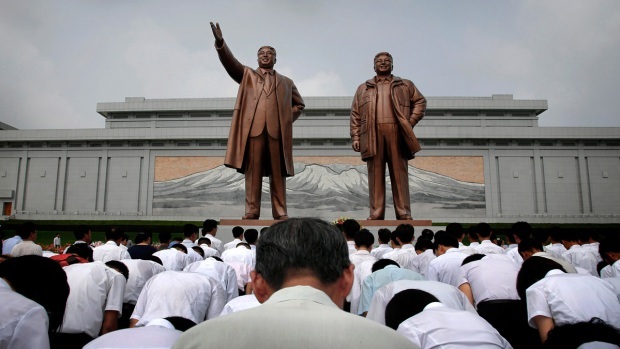 It may have been intended to let Pyongyang know it is being watched. But it could just as well be a message for the Trump administration from an intelligence community concerned by the president's own rosy assessments. And Congress? It's considering a bill that would require Trump to submit any deals with Kim for its approval — not exactly a sign of confidence. The bigger question than what Washington wants, however, is what Kim is willing to give. So far, not a whole lot. Pyongyang's official position hasn't changed substantially since the New Year's address Kim used to kick off his regional diplomatic campaign — the county is shifting its focus to developing the national economy and updating its foreign relations because it has successfully "perfected" its national nuclear forces. Kim has vowed that "as a responsible, peace-loving nuclear power," North Korea will use its nuclear weapons only if "hostile forces of aggression violate its sovereignty and interests." In Singapore, he "reaffirmed his firm and unwavering commitment to complete denuclearization of the Korean Peninsula." Despite claims to the contrary, Kim's signature on the Singapore statement is a far cry from an explicit promise to unilaterally abandon his hard-won nuclear arsenal, which he has credited as being the very reason why Trump is willing to treat him as an equal and reconsider his "hostile policy" toward North Korea. The fact is, Kim's game is more complex than just his dealings with Trump. Though he has met with Trump once, Kim has had three summits with China's President Xi Jinping. Beijing has had a significant say in Kim's strategy with Washington and will have a big role in whatever future path the North may choose to pursue. Kim has also held two summits with South Korean President Moon Jae-in that have opened the door to cultural exchanges and talk about big projects to improve the North's infrastructure and bolster trade in ways that had just a year ago been unthinkable because of Trump's sanctions-centric policy of "maximum pressure." Pompeo may be able to wrest some meaningful steps toward denuclearization out of Kim this week. But, for Kim, neutering Trump's "maximum pressure" policy is the real name of the game.